With today’s booming IOT (Internet of Things) and consumer electronics industry, multidisciplinary teams of engineers often have to work together to develop products. Speaking purely from a hardware perspective, mechanical designers and electrical designers use MCAD and ECAD software to develop the physical constraints of the project, and they often rely on each other. As an example of this collaboration, mechanical designers will often ask the electrical designers of the board shape they desire, or perhaps the electrical designers will require the hole locations from their mechanical counterparts. In this article we discuss how the SolidWorks PCB Connector can revolutionize the collaboration between ECAD PCB tools (SolidWorks PCB and Altium) and SolidWorks. It’s quite apparent that PCB CAD software are usually programmed primarily with PCB and electrical design freedom in mind. CAD software such as Altium and SolidWorks PCB are excellent in their realm of PCB design, but when it comes to specifying mechanical constraints, using these software’s alone can be a daunting task. This is where the SolidWorks PCB Connector comes into play; it allows Altium or SolidWorks PCB users to collaborate with mechanical designers through SolidWorks, and allows for the passing of CAD data between these two environments. Specifying board shapes for example, especially complex shapes with multiple curves or hard to measure entities, can take a lot of time and effort in PCB software, but with the collaboration tool, SolidWorks is able to easily achieve this task in no time. Furthermore, in cases where the PCB is housed such as the case with consumer electronics, it can be quite simple for the mechanical designer to specify the board shape based on the model of the enclosure. One of the most important aspects of the PCB design process for housed PCBs is Component Placement. Mechanical designers often like to know where components will be placed on the PCB for interference purposes and accessibility; they need the ‘X’ and ‘Y’ location data of components, but most importantly they need height information. With the Connector we are able to pull the PCB assembly, including the 3D models of components and the PCB board, into the SolidWorks environment and not only visualize it, but also easily edit the component placement and then push those changes back to the PCB CAD environment. How about placing standoff holes and board cut-outs on a PCB board? These features are often used in PCB design, but configuring their dimensions and placement can be difficult and quite annoying at times. Again, with the Connector and the ability to design these entities in SolidWorks, so much time and effort can be saved. Without having the SolidWorks PCB Connector, passing CAD data between the electrical and mechanical designers is probably done through emails, sharing USB drives, and utilizing network drives, but how efficient is this process? One major issue that we see time and time again with these methods is data loss. Saving data on emails, USB drives, and network drives is not reliable, primarily because of the large amount of data that can flood these sources. Through the Connector, projects and their CAD data are managed on a private server, and this server can be made accessible throughout an organization internally and externally. On collaborative assignments, it’s very important for teams to work together through a system that will allow them to communicate well with one another and track their work progress efficiently. In this day and age, software is generally used to maintain this system and make collaboration effortless, but not all organizations take advantage of project management software, or even use the right ones. The SolidWorks PCB Connector provides engineers with an intuitive interface that allows them to include messages with their CAD changes, and through this interface they can even track all previous edits through their dialogue history. With each message that is sent to the server, a time stamp is placed and user information is provided. These features are not only useful during the project design stage, but also long after the project has been completed and is in need to be revisited. By utilizing the SolidWorks PCB Connector and taking advantage of the features listed above, an organization can save on a very important resource, and that is Time. It is this resource that, if not taken care of, can cause increased costs and loss of productivity. Through the SolidWorks PCB Connector, designers will be able to focus more on design and collaboration, and worry less about inefficient communication, data loss, and software limitations. 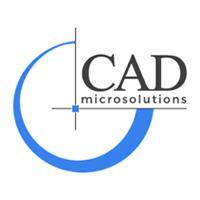 tramy@cadmicro.com | T: (416) 775-9733.